Rental car for the couple - 1 day during their stay. Private VIP check-in for the wedding couple. VIP bracelet for wedding couple + internet code. VIP amenities in wedding couple's room. Professional services by a wedding planner. Special location for ceremony at beach. Mayan-spoken ceremony with English translation. Flowers for wedding couple, bouquet or floral crown and boutonniere (with local tropical flowers). Music during ceremony with drums and seashells + audio equipment with 1 microphone. 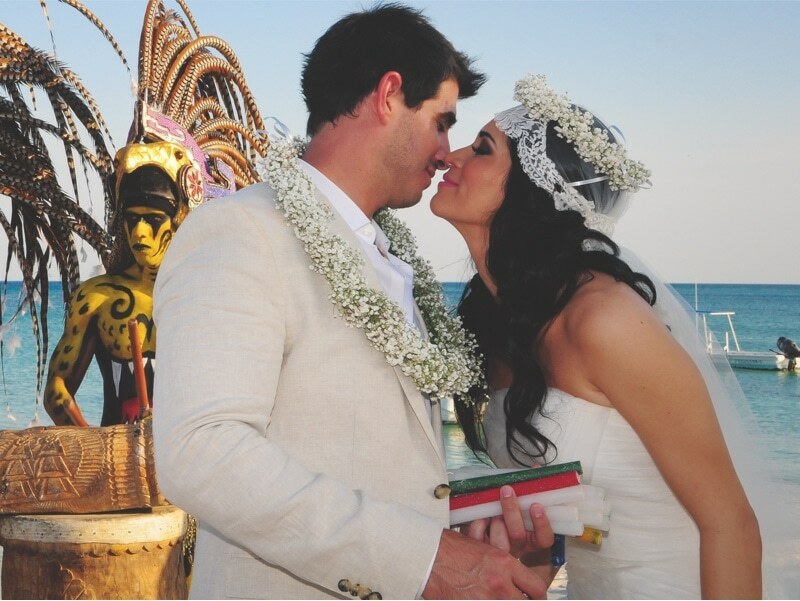 Exclusive decor with our O Wedding special arch, set up in white and traditional Mayan altar. Celebration toast with domestic sparkling wine after the ceremony - 1 glass per person. with guided menu and domestic drinks (for 2 hours). Wedding cake decorated with natural flowers. Bottle of domestic sparkling wine in couple's room with special courtesy of chef. Romantic decoration in couple's room. Gourmet breakfast in newlywed's room. "U & Me" dinner in specialty restaurant (only for the couple). Includes 5 photographs of the wedding ceremony by O Photo (hotel's exclusive photographers and videographers).